| Knowledgebase - What is Bitcoin? All Categories ​>​ Knowledge Base ​>​ What is Bitcoin? Bitcoin was the first cryptocurrency that was created in 2009 and started a new era for financial transactions. With Bitcoin, for the first time, people could transfer money via the Internet without giving out their personal details to the bank or any other authority. Transactions are verified by network of nodes through cryptography and get recorded in a public distributed ledger called the “blockchain”. 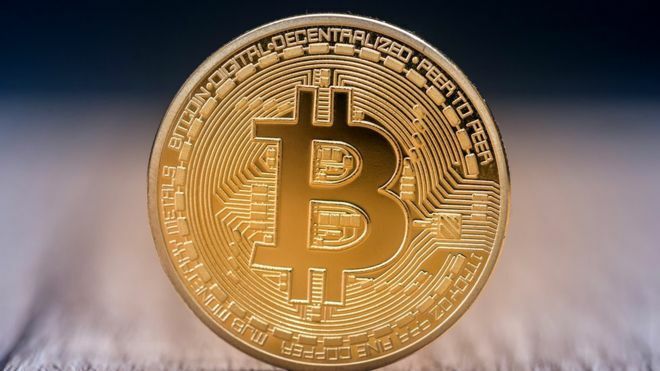 Bitcoin was designed to give people full control of their finances and allowed money to be sent around the world to others without the need for a bank or a central payment processing service. Unlike credit card services, Bitcoin doesn’t allow funds to be taken out of your account, instead, it only allowed one to transfer money depending on the number of bitcoins one has, eliminating the fear of companies overcharging or leaking the payment credentials. This is a powerful new way for people to protect their money that no other technology has been able to offer. Bitcoin has become a popular way to acquire or hold local currencies while on holiday, in many countries around the world, Bitcoin ATMs are popping up at Airports, Train Station and city centers allowing travelers to easily encash their bitcoins and thus saving on the transfer fee. Because Bitcoin operates on open standards it can easily be integrated and accepted by businesses without paying any licensing or service cost. Merchants all over the world are starting to catch on, including PayPal and many other popular companies. Bitcoin knows no borders and is available everywhere across the world. Transferring money to someone in a different country is extremely simple now, thanks to Bitcoin. There is no central authority governing the functionality of the Bitcoin network. Bitcoin gets all its core attributes from an underlying revolutionary technology called the blockchain. You can think of the blockchain as a public ledger and the contents of this ledger cannot be altered by anyone i.e. once a transaction is recorded on the blockchain, it is irreversible. For a transaction to be recorded on the blockchain, it needs to be confirmed first. This is done by individuals who call themselves ‘miners’. Miners solve complex mathematical problems, using their computers computational power, in order to verify each transaction. This is how Bitcoin maintains its integrity and eliminates any fraudulent transactions. Bitcoin has been extremely popular due to the plethora of benefits that it has to offer. Bitcoin is hackerproof: Holding your money in the bank is not always the best way to secure it. There have been numerous instances where hackers have stolen funds from the banks. This is not the case with Bitcoin. Without your wallet credentials, no one can get anywhere close to your funds. Cross-border transactions: Fund transfers between two countries not only takes a longer time, but it also costs a large fee if you are using the existing centralized methods. You can avoid all these if you use Bitcoin instead. You control your money: You will have full control of your funds if you start using Bitcoin. No banks or any other centralized organization can impose any restriction on your money. Hence, Bitcoin is widely accepted across the world. Bitcoin is a censorship resistant currency of the future. With so many benefits that it has to offer, it won’t be long before we start to see the mainstream usage of Bitcoin.